Dr. Kristopher Doyle grew up in Atlanta Georgia. He completed his undergraduate work at the University of Georgia. 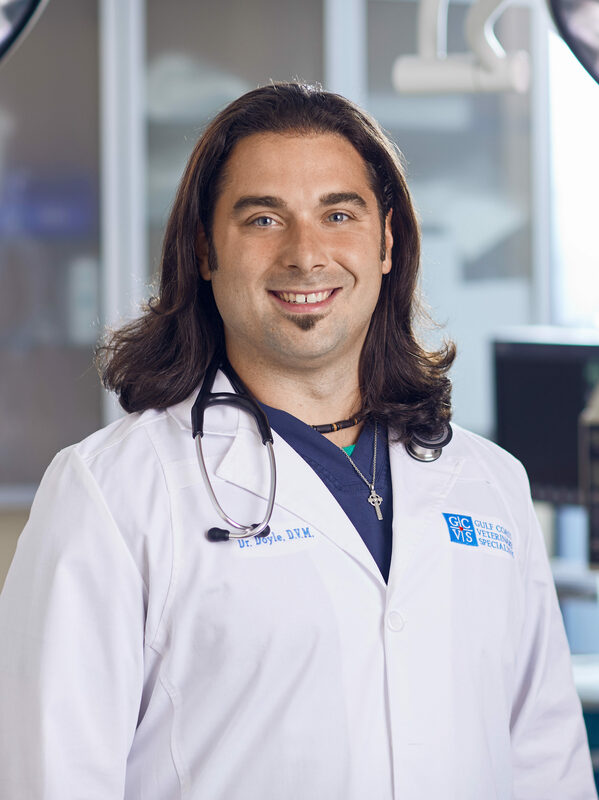 He is a graduate of Ross University School of Veterinary Medicine and completed a year of clinical training at Auburn University College of Veterinary Medicine. Dr. Doyle has a special interest in surgery but also enjoys internal medicine and physiology. In his spare time, Dr. Doyle is an avid reader and enjoys body building, playing guitar, and surfing.